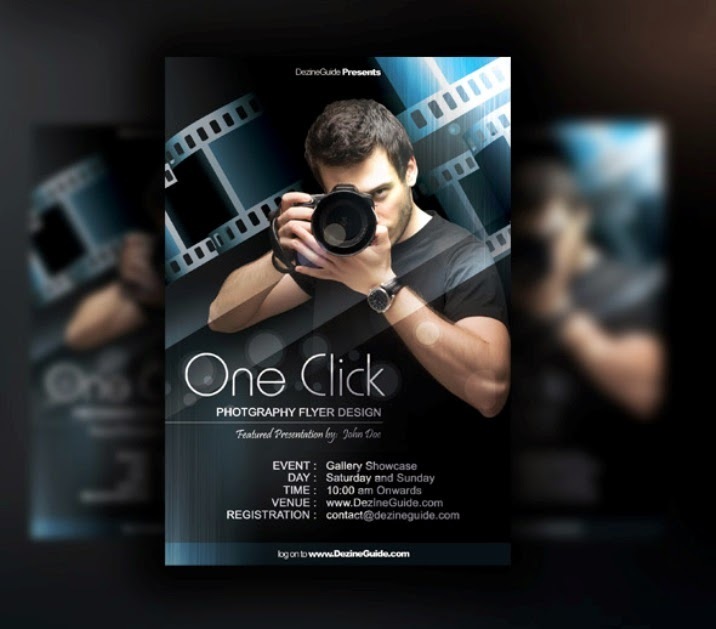 Best Collections of Free Flyer PSD Templates. 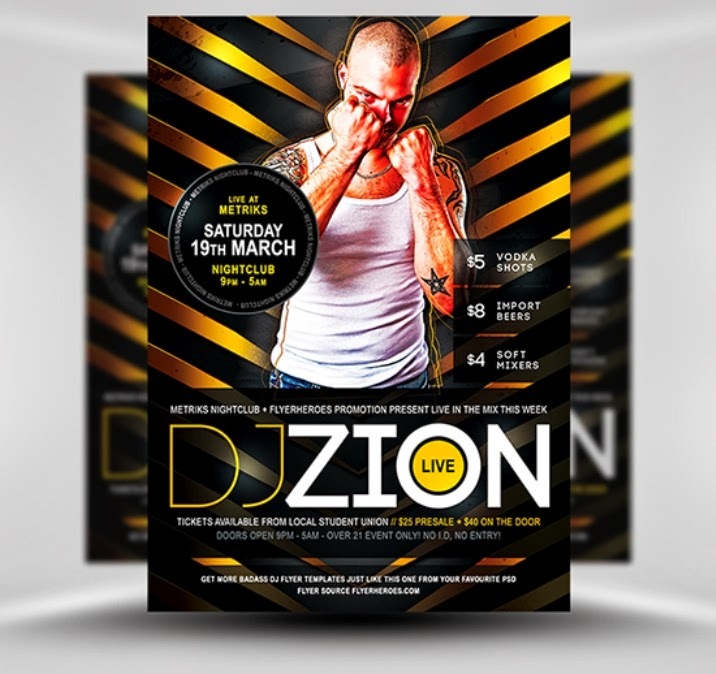 Zion Flyer Template has a simple design style that is easy to customise. 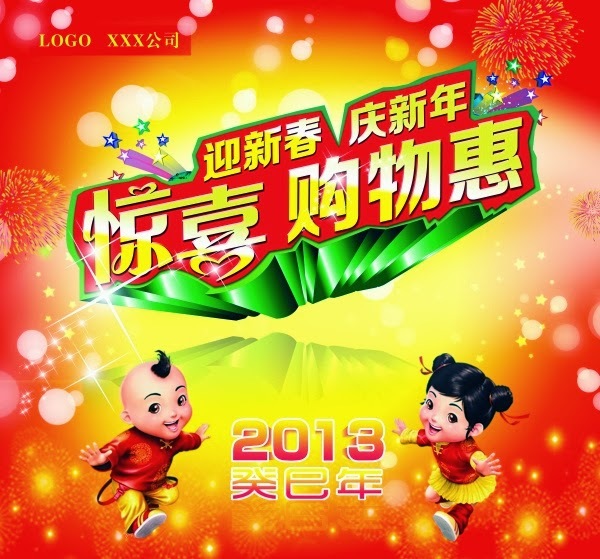 The background is made up of a high definition grimy single colour patterned background of hazard-type diagonal lines. This use of a single colour makes changing the colour scheme of the whole design very easy – simply by using a Hue/Saturation layer mask. 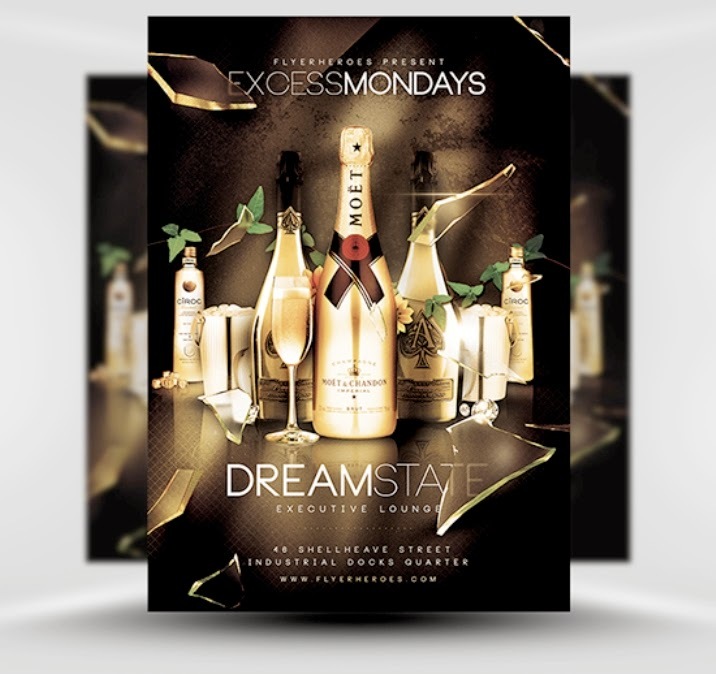 Excess Mondays Flyer Template is simply screaming class. Excess Mondays would also make a great design for Birthday Celebrations, Opening / Launch Nights and New Year’s Eve Parties. 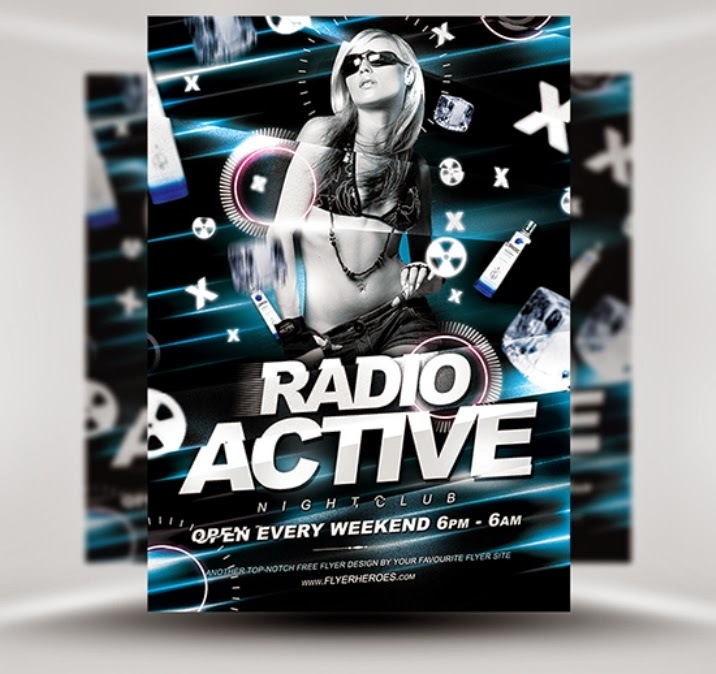 Radio Active is a high quality free Photoshop PSD club flyer / poster template for nightclubs, bars and music venues. 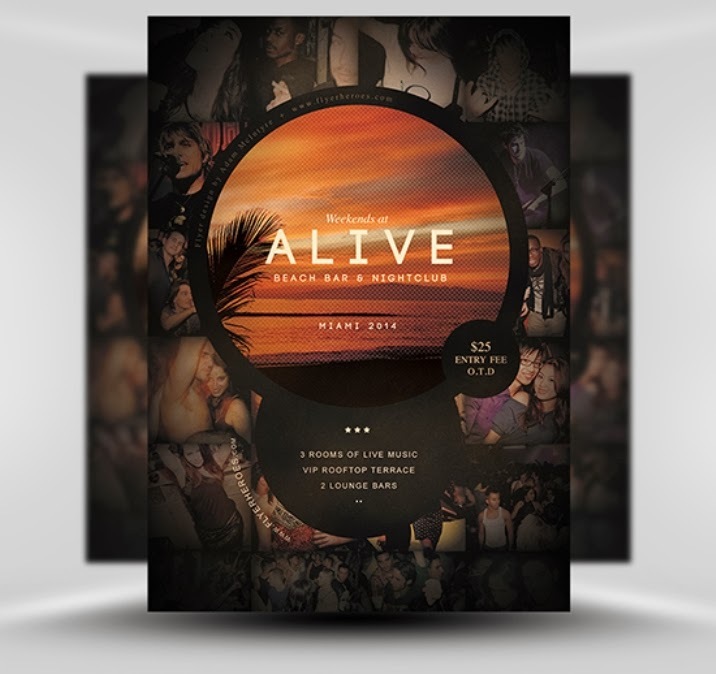 Radio Active has a futuristic / electronic / techy design style that lends itself very well to promoting club night and electronic music events. The design features a hi-tech glowing neon background with multiple falling elements that include ice cubes, Ciroc bottles, radioactive symbols and other random geometric shapes. Tunnels has been built to be easy to use. 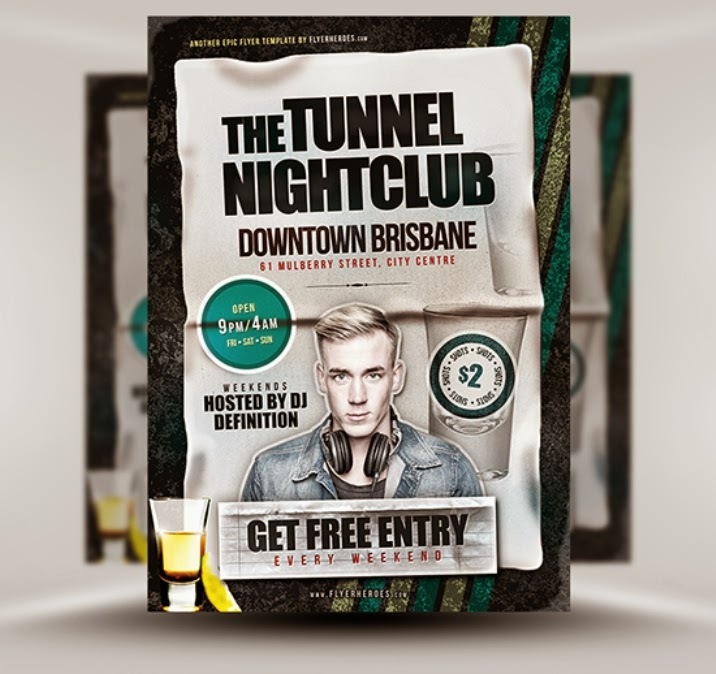 With a little effort and vision, you can use Tunnels Nightclub Flyer Template to create a flyer for almost any type of event. I’m sure if you tried hard enough, you could create flyers for selling houses, ladies nights, charity events. 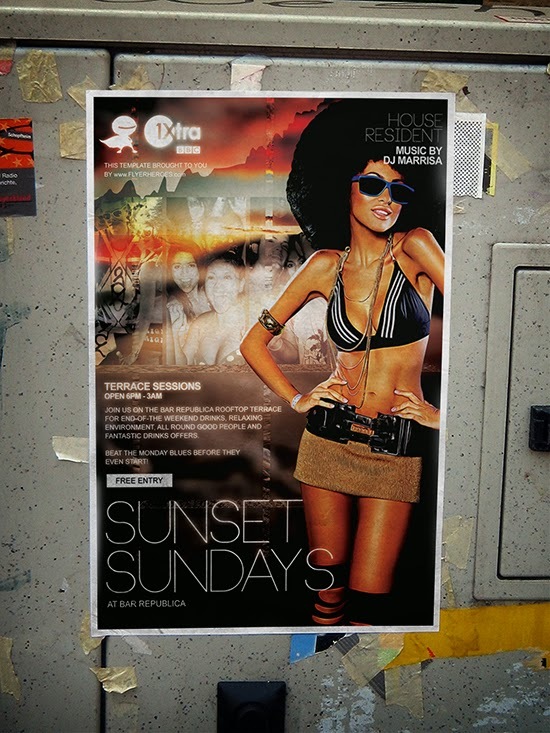 PSD flyer template that will suit all beach parties and disco events. 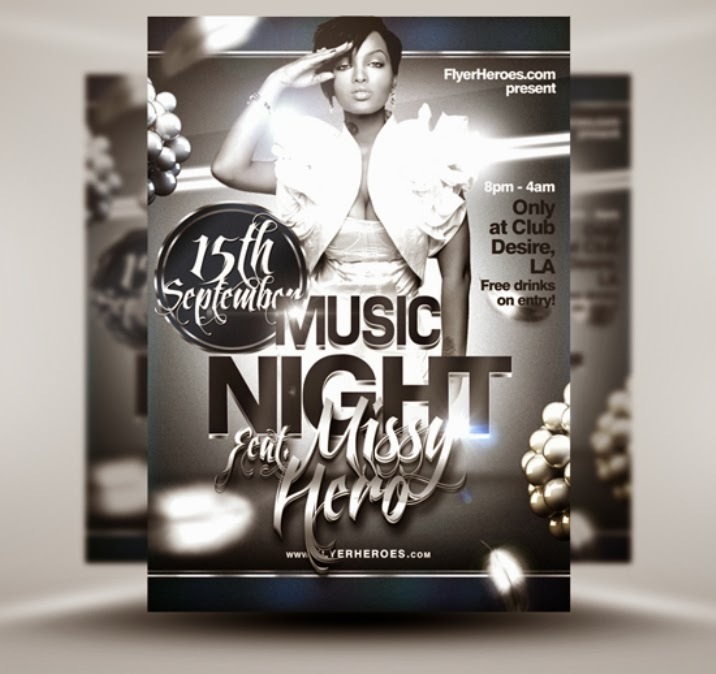 Feel free to use our ready-to-print PSD flyer for any event, no matter of the music played. 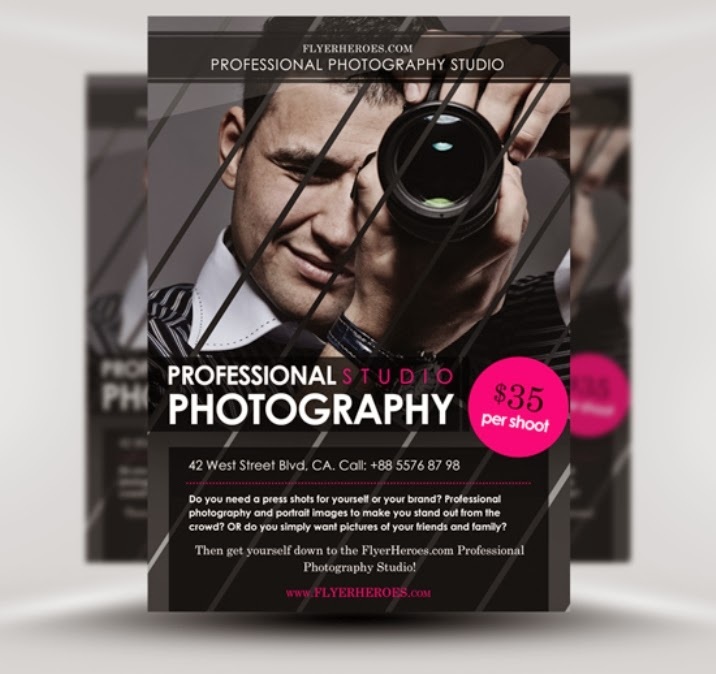 Free PSD flyer template featuring glossy effects and eye-catchy graphics. 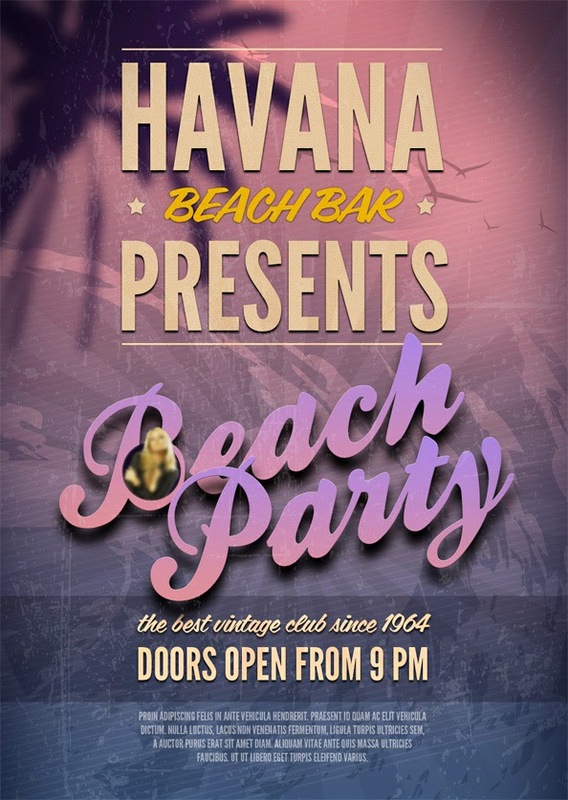 Our beach party PSD flyer will surely help you to spread the word about your party event. We have already done the hard work, so all you have to do is just to replace the images and the logo. Download the fully layered PSD file for free! 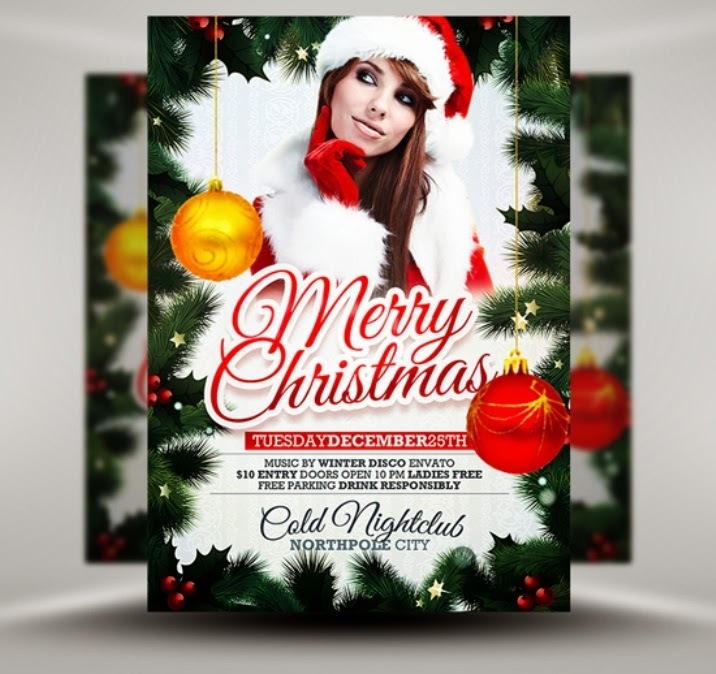 Xmas flyer template is perfect for promoting Xmas-themed club nights, bar promotions and music events. With classic red and green Christmas colours, a holly-boarder and beautiful bauble decorations, there’s no mistaking that this flyer template is promoting some sort of Xmas attraction! 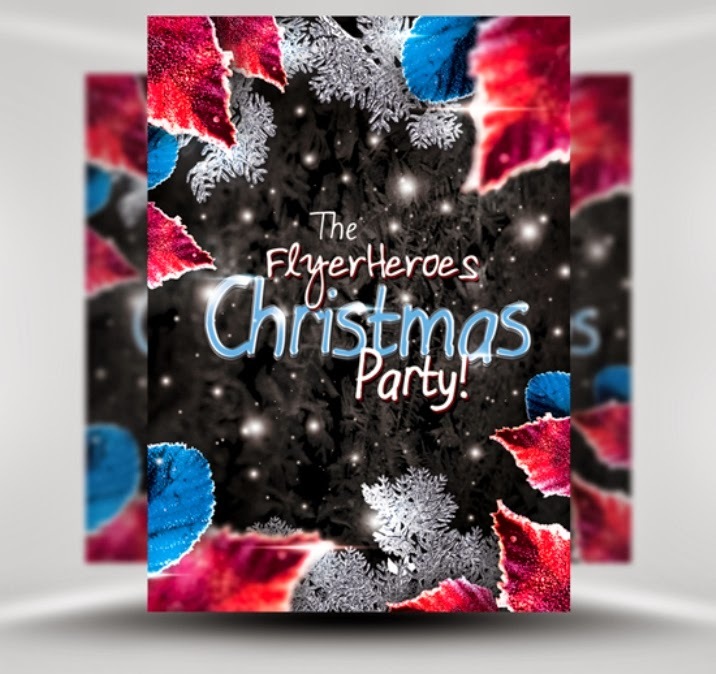 Free Winter flyer template is perfect for promoting Winter, Christmas or New year parties. 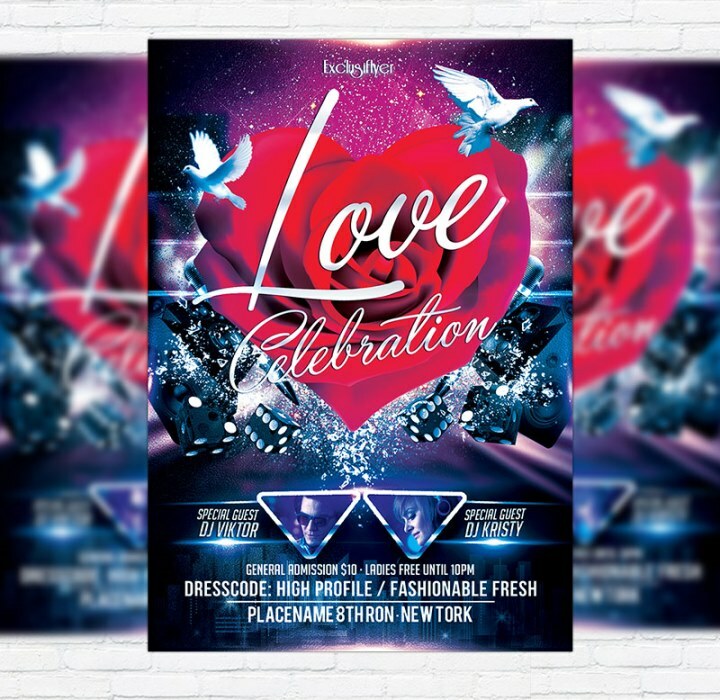 Featuring more of a background-style design with less of a focus on the text, this flyer can easily be customised to suit any type of winter-themed party, whether it be an NYE gathering, January sale, Christmas nightclub party or even a winter offer at a local restaurant – this template can be customised to suit, with ease. 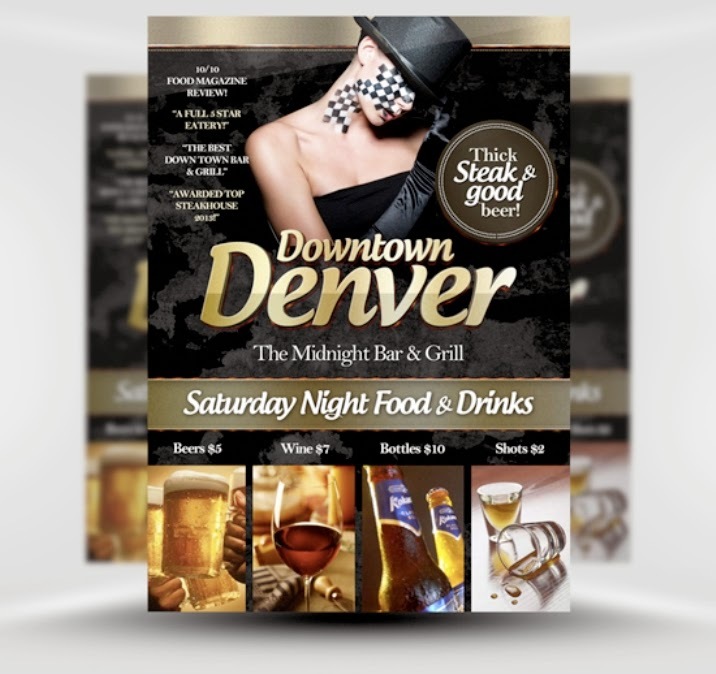 This freebie template is perfect for bar and grill type establishments as well as restaurants, with plenty of space for placing images of drinks and/or food offers, quotes and reviews as well as information about the bar itself. This week’s free club flyer template is one hell of a badass design, featuring large, bold, metallic and 3D title text with some hip and urban graffiti scrawl for the main performer. Also, as usual, you get a handful of editable elements – digital stickers, text placeholders and plenty of space to include your own feature images. Christmas time is upon us and the Christmas parties are-a-comin! 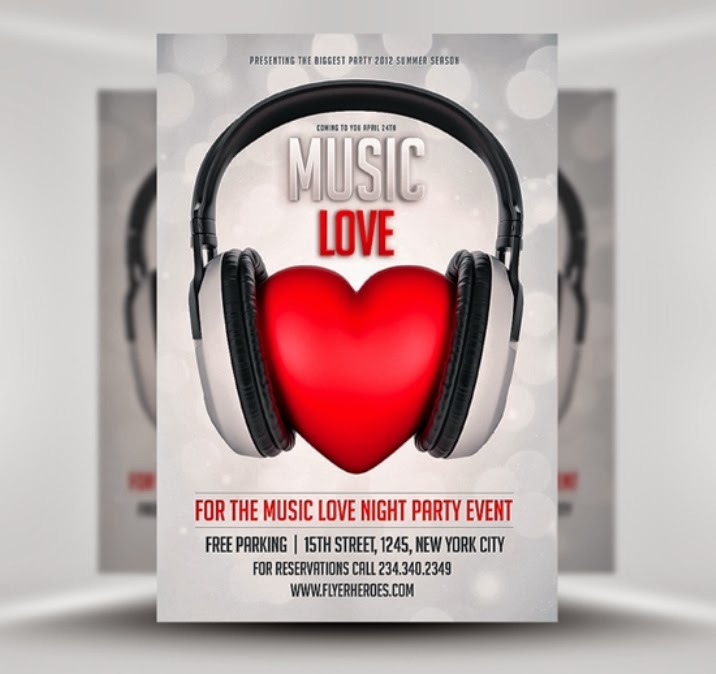 This week’s free flyer template is absolutely perfect for your xmas themed parties, whether your party is a full blown nightclub event or a simple works do. 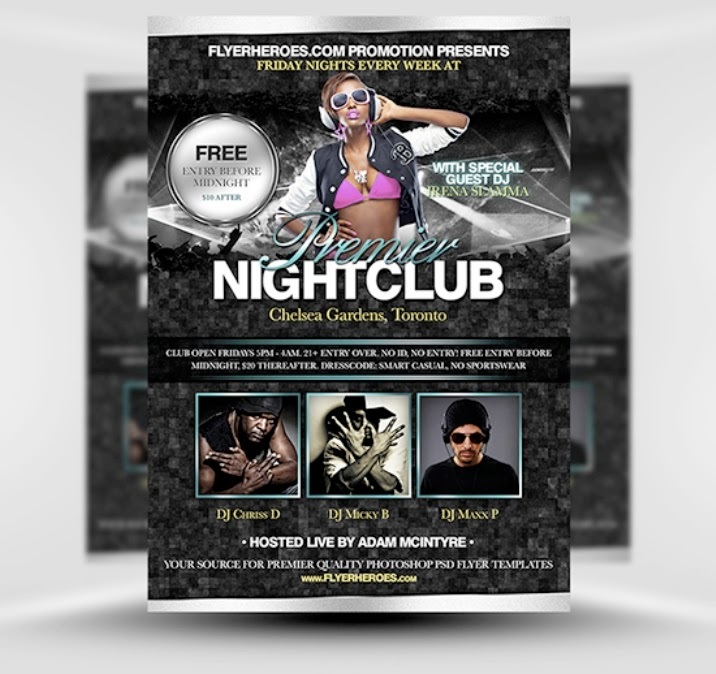 Free 4th of July Flyer Template perfect for all your Independence Day nightclub parties and events! 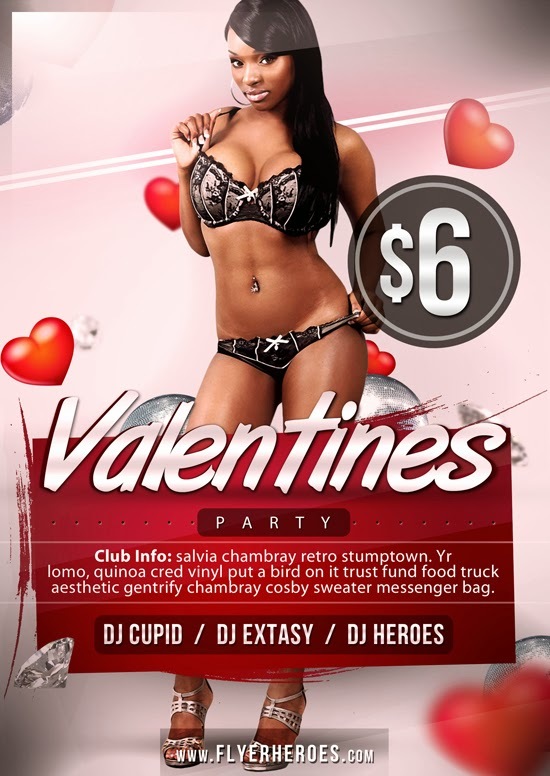 This free Valentines flyer template download will be absolutely perfect for your client projects, specially designed to be as flexible as possible! 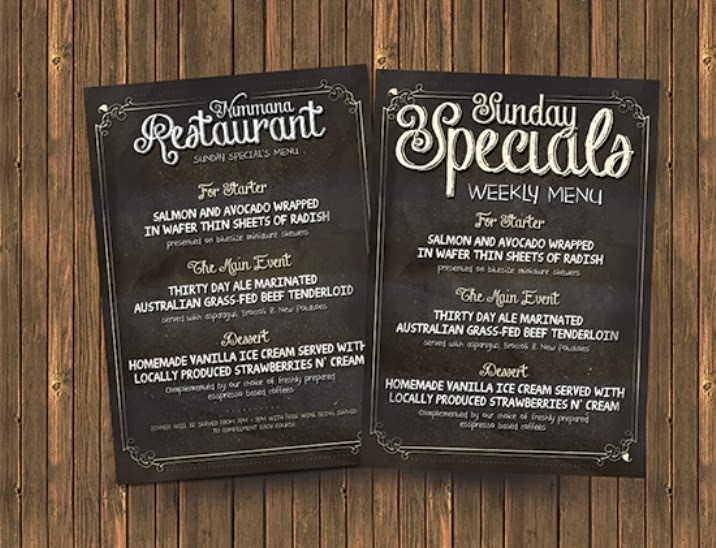 Chalk board menu / flyer design perfect for promoting weekly specials, restaurants or possibly even coffee shops. Spring shop Whitney PSD flyer template on FaceGFX. So free download this simple yet useful Spring shop Whitney PSD flyer template File. Thank you for featuring FlyerHeroes content. Great website!